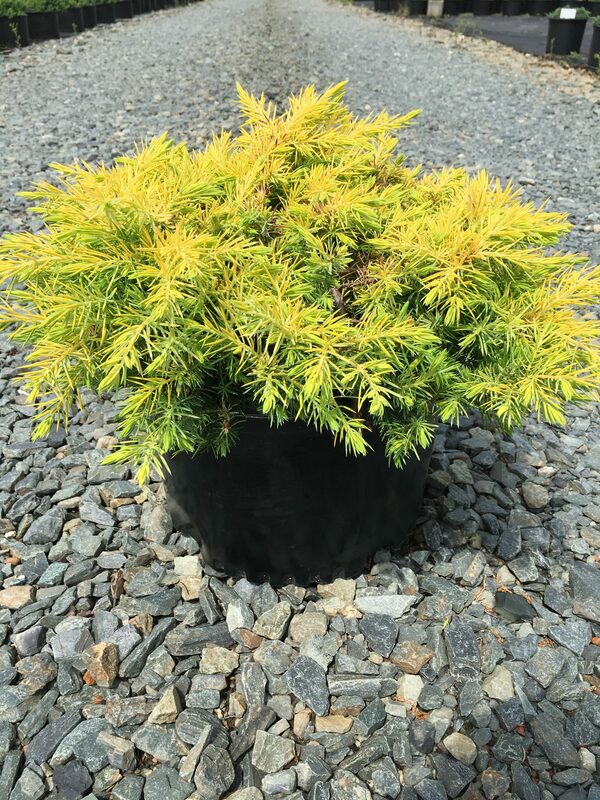 All Gold is a low growing juniper with a soft textural appearance and beautiful golden yellow foliage. Grows 12 inches in height and spreads 5-6 feet in width. Drought tolerant once established. Deer resistant. Prefers full to partial sun and well drained soil.